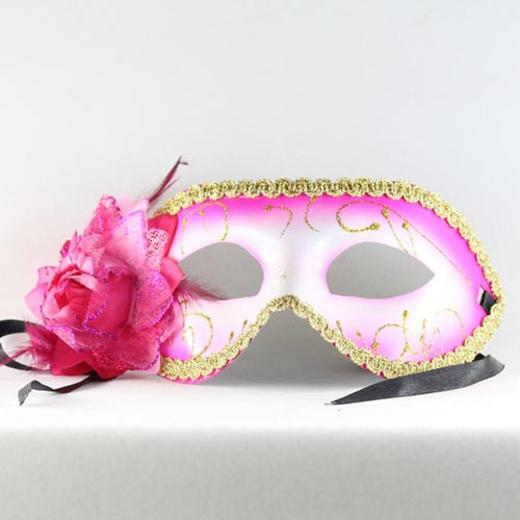 Beautiful Venetian style half floral masks available in various colors. This sturdy mask features ornate gold trim around the edges and an elaborate flower over the right ear. A feminine and alluring mask is perfect for Masquerades, New Years and Dance Parties. One size fits most. For a wilder look checkout our Animal print masks.